Analyse the most popular paths to conversion on your website. 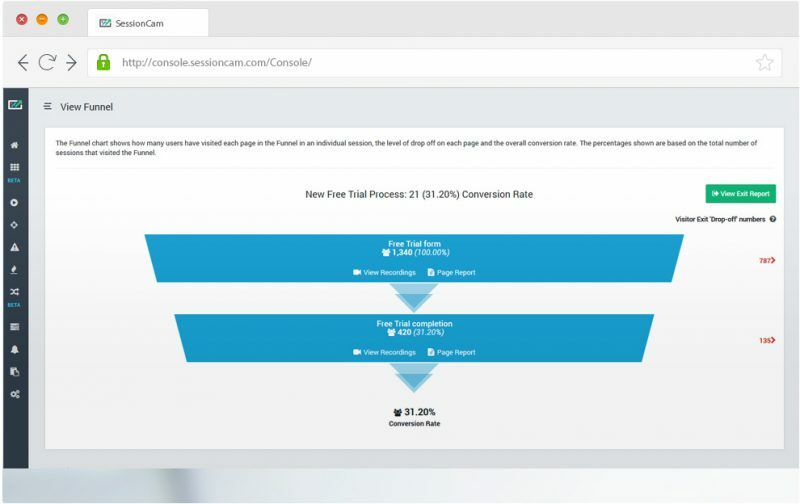 Our conversion funnel analysis tool allows you to easily pinpoint your website’s most valuable paths to conversion and identify pages where visitors drop off or exhibit cart abandonment. As well as identifying lower-converting customer journeys, Conversion funnels allows you to compare conversion rates across different visitor segments such as device type, browser type and operating system. Using website conversion analysis in conjunction with session replay will help you to highlight any potential user experience or website design issues your site may have. 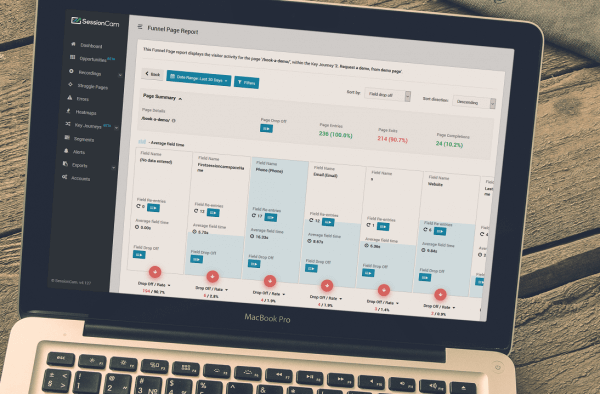 Review detailed page reports that consolidate data on visitor activity and behaviour to get an overview of site experience page by page. You can use this insight to improve the user experience (UX) across your site and boost conversion rates and retention rates. A major cause of drop-offs in website customer journeys is poor user experience (UX). This might include slow page load speed, template issues, font size or spacing and much more. The valuable insight that you gain from our conversion funnels tool will allow make the necessary changes to your site and boost your website’s conversion rates.